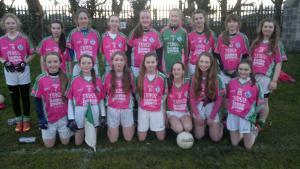 Our Under 14 panel had a great win over Grenagh last Thursday evening in the first of their League matches. Orla NicCÃ¡rthaigh was nominated U14 League captain and the team were enthusiastic to get their League campaign underway. Our midfielders Hannah and Ruby put in a lot of work, with Kara scoring the first point of the match after a great pass from Ruby. Hannah positioned herself beautifully to pick up Grenaghâs goaliesâ kick-out to pop another point quickly over the bar. Our back-line of Molly, Sarah and Julie worked hard closing down Grenaghâs forwards and preventing them from scoring in the first half. Ava was quick to clear the half-way line with her fast pace and calm handling of the ball. Grace and Ciara Lee were steadfast on the half-back line not only deterring any attack, but also clearing the ball up the field into the hands of Ruby, Hannah, Kara and Orla. After a superb goal from Hannah which popped just over the head of the goalie, Ruby added to the Ballincollig scoreline with another point. With Orla making a terrific run up the field, she quickly spotted Erin in front of goal and after a superb pass, Erin had no difficulty popping the ball over the bar. Our two youngest players on the team Allie and Katie put on a great display chasing down every ball and playing with great confidence. At the half-time whistle, Ballincollig were 1-4 and Grenagh were yet to score. We knew Grenagh were a good team and would chase down every ball, so there was no relaxing of concentration in the second half, as Grenagh came out determined after a few positional changes. Orla scored a lovely point from a free and our back line continued to work hard. Indeed it was our Goalie Aisling Keane, who saved the day on two occasions with superb display of goalie confidence, clearing the ball and soloing away from the Grenagh forwards to deliver the ball into the hands of Grace and Ciara Lee. Kate brought fresh legs to the game and made some great passes to Ciara O Sullivan in the corner forward. Ciara was unlucky not to score, but put on a great display and kept feeding the ball to other players in the true team spirit that makes this team so special. With another great display of team passing, Ruby, Hannah, Orla and Kate worked the ball up the field and with Erin feeding it back again and Ruby putting the ball over the bar. With the team growing in confidence, Kara ended the match as she had started it, with another great point. Full-time score Ballincollig 1-8, Grenagh 1-2. 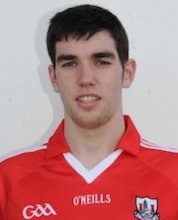 The following 2 weeks sees this team playing Doughnamore and N. Fionnbarra of Ballingeary. Both matches are away. Panel on the day: Orla NicCÃ¡rthaigh(c)(0-1), Sarah Murphy, Molly O Flynn, Julie Creedon, Grace Oldham, Ava Lordan, Ciara Lee, Hannah O Leary(1-1), Ruby LeFeuvre,(0-3) Katie Downey, Kara Lacey(0-2), Aisling Keane, Allie Cleary, Erin Taylor(0-1), Ciara O Sullivan, Kate Walsh.